Kraft Heinz unleashed an “avalanche of bad news” last week, said Aaron Back and Carol Ryan in The Wall Street Journal, and now its backers, 3G Capital and Warren Buffett’s Berkshire Hathaway, are scrambling to fix it. In one swoop, the supermarket-shelf giant announced it missed earnings estimates, slashed its dividend, disclosed a subpoena from the Securities & Exchange Commission, and took a staggering $15 billion write-down on the value of its two most famous brands, Kraft and Oscar Mayer. The revelations proved that the company’s “experiment in radical cost-cutting has failed” and the strategy has damaged its brands, validating critics who have “long contended that 3G’s cost cutting went too far.” Shares are now down by more than half since the Kraft and Heinz merger in 2015. The brands Kraft Heinz offers, such as Jell-O, Kool-Aid, and Kraft Mac & Cheese, are getting “challenged by healthy choices Millennials savor,” said Shawn Tully in Fortune. When Kraft Heinz should have been spending on R&D and marketing to revive its packaged offerings, 3G Capital was focused solely on aggressively cutting corporate fat. This could soon become a “classic Harvard Business School case study” in how the true failings of a highly praised strategy get exposed. 3G Capital burst onto the scene a decade ago when it spent billions to buy old-school food brands like Heinz and Burger King, said Annie Gasparro and Vipal Monga in The Wall Street Journal. From there, it typically followed an accounting practice from the 1960s called zero-based budgeting, which is designed to keep expenses from creeping up annually. This was supposed to produce savings that could fund investments to drive growth. The dramatic shift in consumer food preferences, however, “requires vastly more funds.” 3G has always depended on acquisitions to boost profits. But “who would want to sell to Kraft Heinz now?” asked Tara Lachapelle in Bloomberg.com. A year ago, Kraft Heinz released a 70-page slide presentation outlining its commitment to refreshing brands and introducing new products. Last week, management said it had “made progress”—but for investors, it’s clearly not enough. There were warning signs that Buffett was going to regret this deal, said Eric Rosenbaum in CNBC.com. Instead of buying Kraft Heinz outright, or buying shares on the open market, he partnered with a private equity firm known for slashing costs rather than for the kind of long-term investments that Buffett loves. His type of hands-off ownership “wouldn’t be the case with 3G in control.” Sure enough, in less than a year, Heinz CEO Bill Johnson was replaced by a 3G officer, Bernardo Hees. Kraft Heinz tried to acquire Unilever in 2017 for $143 billion over the objections of Unilever’s management, while Buffett “has always been opposed to hostile takeovers.” After this implosion, he is likely to face questions about whether Berkshire should ever repeat the 3G approach. 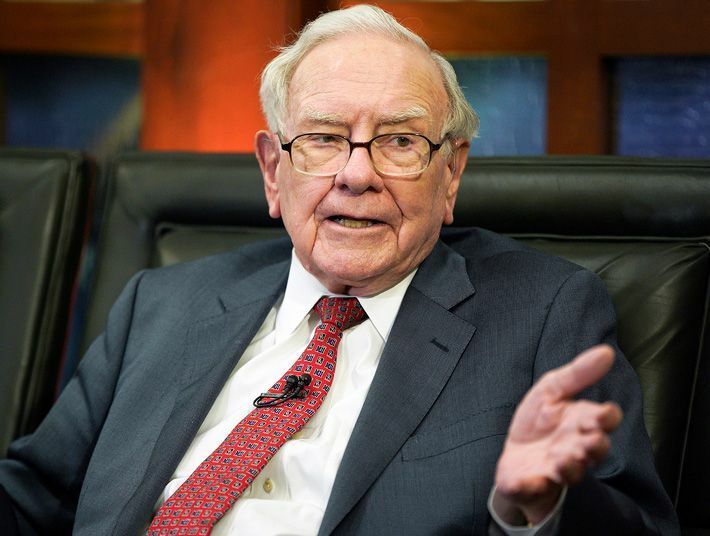 In a “rare admission by the investor with the Midas touch,” Buffett said he overpaid for his stake in Kraft Heinz, said James Fontanella-Khan in the Financial Times. That misstep has left Berkshire with one of the largest losses in its history—more than $4 billion so far. And counting.